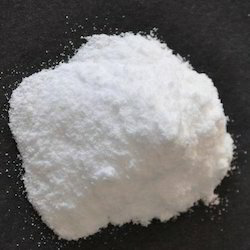 Leading Wholesale Trader of copper hydroxide 50% wp, sodium molybdate, aluminium chloride, nickel acetate, nickel carbonate and nickel nitrate from Ahmedabad. Copper(II) hydroxide is the hydroxide of copper with the chemical formula of Cu(OH)2. It is a pale greenish blue or bluish green solid. Some forms of copper(II) hydroxide are sold as "stabilized" copper hydroxide, although they likely consist of a mixture of copper(II) carbonate and hydroxide. Copper hydroxide is a weak base. Aluminum chloride solution is to be used only at bedtime because sweat glands are most inactive during sleep. This allows application for 6 to 8 hours when sweating does not occur. Do not apply to broken, irritated, or recently shaved skin. Wash and completely dry the affected area. 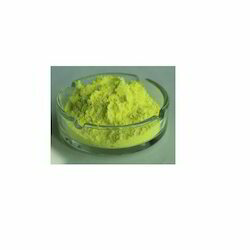 Used in synthesis of polynuclear-nickel polyoxotungstate cluster compounds that are ideal for the design of molecular magnets. Nickel carbonates are used in some ceramic applications and as precursors to catalysts. 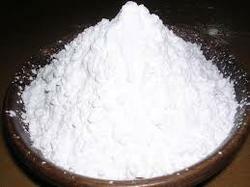 Extra pure quality nickel carbonate powder with high nickel metal content and low content of sulphate and other impurities. Specially recommended for use in Sulphamate baths. Powder Nickel Carbonate is better than paste from as it has known high percentage of metal content and low impurity level. Hence it is easy to ascertain the quality in powder form compared to paste form. 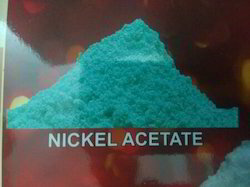 Nickel nitrate is a green crystalline solid. It is soluble in water. It is noncombustible, but it will accelerate the burning of combustible materials. ... 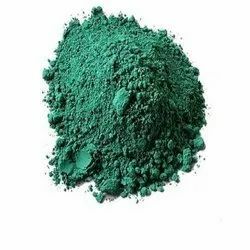 It is used in nickelplating and to make nickel catalysts for use in chemical manufacture. Antimony Oxide is as a Flame Retardant synergist in plastics, rubber, textiles, adhesives, fiberglass & Paper. Glass manufacturers use it as a fining agent or as degasser (to remove bubbles). Porcelain and Enameling servicesuse it as an opacifier. 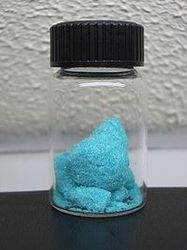 Cupric oxide is used as a pigment in ceramics to produce blue, red, and green, and sometimes gray, pink, or black glazes. It is also incorrectly used as a dietary supplement in animal feed. Due to low bioactivity, negligible copper is absorbed. It is also used when welding with copper alloys. Ammonium Thiocyanateis considered to be particularly useful in controlling tough woody , tree stumps and brambles. Ammonium Thiocyanate has been successfully used in several major UK projects by organisations like the British Trust for Conservation Volunteers, English Heritage, the National Trust, and various railway, canal and waterways authorities. 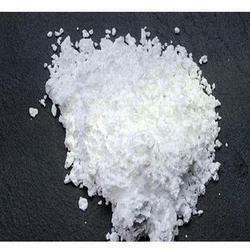 Oxalic Acid (also called Ethanedioic Acid) is a colourless, crystalline, toxic organic compound belonging to the family of dicarboxylic acids; melting at 187 C; soluble in water, alcohol, and ether. It occurs in the form of its metal salts (usually calcium or potassium) in many plants. It is commercially manufactured by heating sodium formate in the presence of an alkali catalyst to form sodium oxalate, which should be converted to free oxalic acid when treated with sulfuric acid. 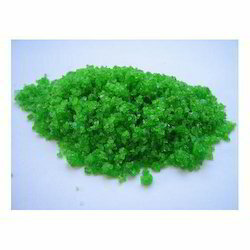 It is also prepared by oxidizing carbohydrates with nitric acid, by heating saw dust with caustic alkalies or by fermentation of sugar solutions in the presence of certain molds. Oxalic acid is the only possible compound in which two carboxyl groups are joined directly; for this reason oxalic acid is one of the strongest acids in organic compounds. Unlike other carboxylic acids, oxalic acid (and formic acid) is readily oxidized and combine with calcium, iron, sodium, magnesium, or potassium to form less soluble salts called oxalates. Oxalic acid and oxalates are useful as reducing agents for photography, bleaching, and rust removal. They are widely used as an purifying agent in pharmaceutical industry, precipitating agent in rare-earth metal processing, bleaching agent in textile and wood industry, rust-remover for metal treatment, grinding agent, waste water treatment. acid rinse in laundries and removing scale from automobile radiators. 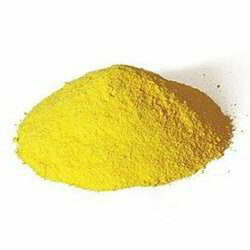 Ammonium Bisulfite is a colorless to yellow crystalline (sand- like) solid that is commonly used in a water solution. It is used in fertilizer, water treatment, as a bleaching agent for paper pulp, cotton and wool, and as a hairwaving agent. 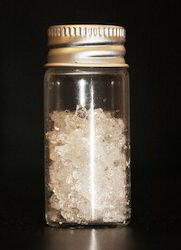 AMMONIUM FLUORIDE acid salt is usually used in preference to the neutral salt in the etching of glass and related silicates. Applications:Aluminum fluoride is used by aluminum producers to lower the melting point of electrolytes in the smelting process and increase production efficiency. 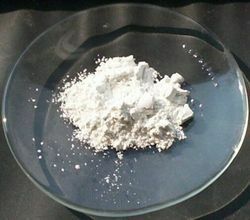 It is also used as a flux ingredient for the removal of magnesium in the refining of aluminum scrap. Used as water treatment chemical. USES : Used as technical grade fungicide. PACKING : LDPE lined HDPE bags of 25 kg. As per customer's requirement in bulk bag up to 1 MT in big sack.